We may still not exactly know what carriers will be getting the Samsung Galaxy Nexus, and we may not have a release date for the US, but we may finally have a date for Europe. Or, at least for the start of the rollout release for Europe. SamFirmware, a news site that specializes in Samsung leaks and a source which has had reliable information in the past, has said that the Samsung Galaxy Nexus will start rolling out across Europe on November 17th. So far, we know that O2 will be a partner for this launch in the UK, but we haven't gotten word what other carriers will be getting the device, or what countries. Still, you can mark it on your calendars, November 17th: the day Ice Cream Sandwich hits Europe. Meanwhile, those of us in the US will just keep arguing over whether or not Verizon will have an exclusive on the phone. Do phones sometimes come out in the US before they hit the UK...??? Nov 10 < Nov 17... pre-order date? this may be a dumb question but why do all the phones come out in Europe first? because if its fails in EU it will fail everywhere else. 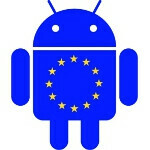 why should GOOGLE who is AMERICAN BASED sell their phones to EUROPE first? Isn't it a Samsung Phone? android is american made by google, i think android phones ESPECIALLY one unveiled from google (and samsung) should be released in the us first. i just put in my pre order on ebay....only $599 for 32gb.......now im waiting...cant wait!!!! !